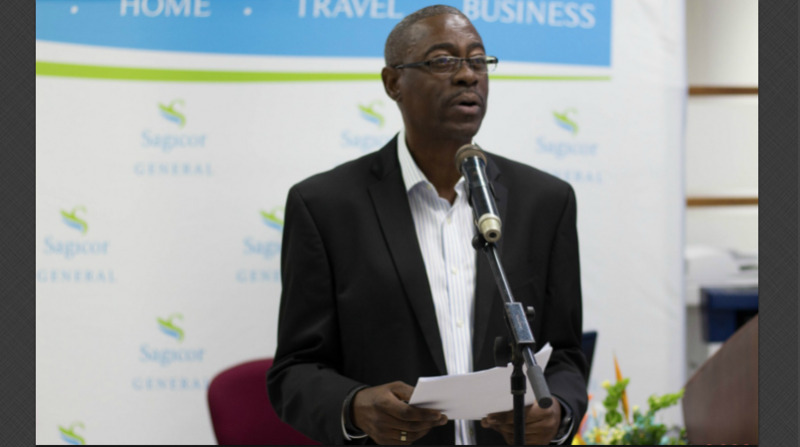 Sagicor General President and CEO, David Alleyne says despite the ‘doom and gloom’ in the economy the company has and will continue to provide innovative products and first-class service to all its customers. Speaking on the sidelines of the opening of their City Centre branch yesterday morning, he said while the economy is making things more difficult they have been doing very well and is hopeful that things will get better. “The company has been operating pretty well this year. The results have shown for the first quarter that we are right on line with what our budget has projected to be. What management has been focusing on is products and services which facilitate people in these hard times, because the economy is difficult and we are trying to find ways and means of making things easier for people,” he said. Alleyne said within the last couple months they have developed in accordance with a facilitator a Road Traffic and License Renewal Service, where clients can drop off their licenses and have them renewed by Sagicor free of charge; the only thing they pay is the tax but the payment is facilitated by Sagicor. Customers he said have been drawn to this service since it affords them to avoid the hassle of long lines to get them paid at other offices. The CEO said the Company envisaged a bright future for its business in Bridgetown, and is focused on enhancing its customer service in the City. “Sagicor General has had a longstanding presence in Bridgetown for several decades, with a significant customer base here in the City.